The main features of the chants of the female Paiwan shamans of Kulalao village in southwest Taiwan are the high degree of fixedness of the chanting texts and the low degree of dramatization in the ecstatic chanting performances. The difficult and highly valued texts are carefully examined, and important ritual elements such as wild animals and domesticated pigs, and the personified entities of house and village referred to in the chanting texts are analyzed, with an attempt to reveal the symbolic relations and structures of the Kulalao village society. The concept of ‘entextualization’ is adopted to provide a better basis for cross-cultural comparison. In a mountainous Tai-speaking village along the Sino-Vietnamese border, two female shamans and a group of Daoist priests carried out a Killing a Pig for Ancestors rite in a Nong family’s stilt house. Daoist priests recited Chinese ritual texts at a temporary altar they had set up in front of the family altar, while two female shamans undertook their spirit journey by sitting on cushions, representing riding on horseback. It was past 6 o’clock in the morning and the female shamans were crossing the seas. I filmed the complete ritual using a camcorder set up alongside the shaman’s altar. After the section of crossing the seas, a member of the audience, an old lady, kindly told me that the female shamans had called my souls back. The author discusses the pronouncements that an itako (miko), a shaman typical of northern Japan, makes in her main ritual. In this ritual, kuchiyose, she makes two quite different kinds of pronouncements. In the ritual’s introduction, in order to summon her guardian spirit who will assist her, she uses a fixed text, a sutra. In its main part she changes her manner of speaking to address the audience in ordinary language. The author suggests that the first part of the ritual is directed toward the spirits in the other world, while the second and longer part is addressed to living persons in this world. In this manner, the itako functions as a link between the two worlds. Temoq shamanic performance (smyum) involves the shaman taking a patient’s subtle body on a journey to the cloud-mountains where it is cleansed in a celestial bathing pool. Simultaneously, the embodied shaman in the ritual house extracts disease-spirits from the patient’s body. The Temoq shaman (puiyang) transforms the ritual setting into a metaphorical cosmos so overwhelming in beauty, and so convincing, that beguiled disease-spirits leap from the patient’s body into the tassels of the shaman’s whisk, to be pulled off by the tight grip of the shaman’s hands. Drawing on excerpts from a Teng Kijai shamanic performance, the discussion illustrates how the shaman uses song, gesture, and acoustic images to deceive and extract disease-spirits. Why should we analyze shamanic chants and regard them as a social phenomenon, observing them in the totality of society? Today, the rate at which such chants are disappearing or being innovated is quite astonishing. In some places they have gone forever, while in others they have been revived. Are those societies in which shamanic chants still circulate subject to some special law or obligation that imposes on shamans the need to keep on chanting? What special power and metaphors does chanting itself display? In this article I attempt to answer these and other questions in the context of shamanic performance among the indigenous Kavalan and Amis peoples of Taiwan. This article outlines an analysis of a fundamental construct of cultural memory in the religious life of the Thao, an indigenous group of central Taiwan. The Thao have several religious specialists, and they can be classified into two categories: male priests and female shamans. In their rich religious rituals, these two types of specialists play different yet complementary roles. In addition to differences in their social status and their relationships to spirits, the way of telling ‘memories’ in rituals is also very different for each type of specialist. Male priests share their knowledge about the past with other Thao in a spontaneous way; however, shamans have some fixed texts about the past in their ritual chants. In this way, the shamans serve as a storage function for cultural memories. This raises questions as to what are the differences in the memories recalled by priests and shamans, and what it is that represents or symbolizes memories in the shaman’s chant. 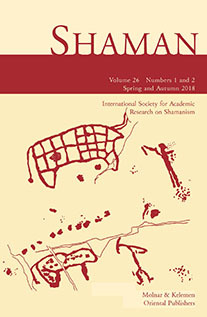 This article analyzes the perception of the forest together with its representation in the shamanic chants of hunter-gatherer groups such as the Batek of Peninsular Malaysia, and sedentary or semi-sedenterized groups such as the Chepang (Nepal) and the Jahai (Peninsular Malaysia). The study of therapeutic and nontherapeutic texts sung during the sÃ©ances reveals a shamanic cosmos that is particularly connected to nature. It is a primordial and perfect universe which extends itself to all cosmic levels and in which the shamans – as intermediaries, interpreters, custodians, and apprentices – travel and perform all their duties. The realm of the forest is recalled more or less directly and symbolically in most of the texts, offering an interpretational frame for hunter-gatherer shamanic complexes. 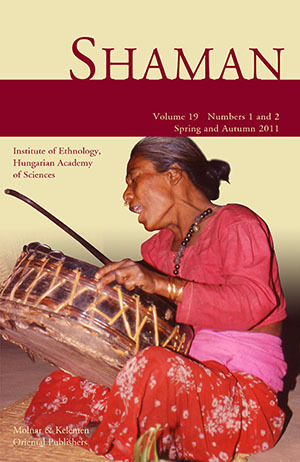 This paper focuses on a major linguistic device used by Iban shamans to construct the narrative chants they sing as a central part of their ritual practice. This is the shaman’s use of voice, particularly his ability to appropriate the voices of other narrative speakers into his chants and to shift his own voice, distancing it at times from others, at other times absorbing other voices into his own. Taking three chants as examples, the paper shows how the shaman’s use of voice mirrors his role as an intermediary between seen and unseen worlds and contributes to his perceived efficacy as a healer.